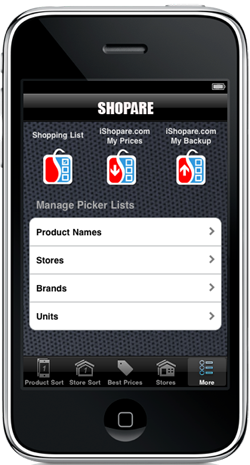 ShoPARE is a price comparison shopping tool for iPhone and iPod Touch. 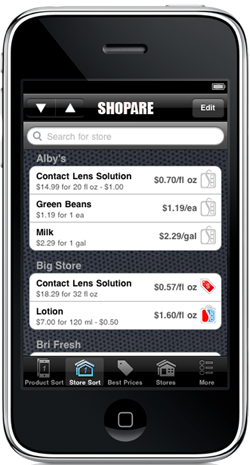 It combines a price book, a shopping list, and the ability to compare prices on the fly. You can compare prices of different package sizes as well as prices of the same product selling at different stores. 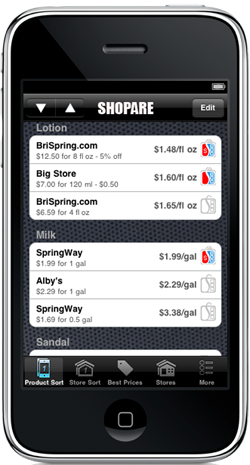 ShoPARE finds the best price for a product by calculating the lowest unit price, even when the units are different. Simply enter the price and packaging information for each item, and ShoPARE will show you the best price. 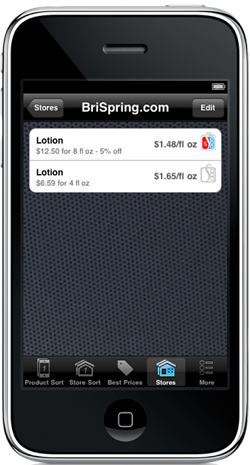 All this information is at your finger tip on your next shopping trip and you can quickly find out if the store you are currently shopping at has the best price for a specific product. Have a 10% off certificate or $1 coupon? No problem. Apply discount and/or coupon to your price and ShoPARE will calculate the new price for you. 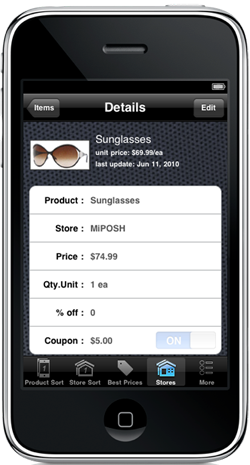 - Add or remove any product name or store name as you want.